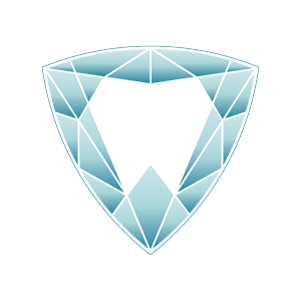 Whether you're an extrovert who loves interacting and serializing with people, or an introvert who enjoys a life of solitude, having a bright smile with full, functioning set of teeth can be very rewarding. However, life is not as we would prefer it to be. Some people are not fortunate to have a set of teeth that gives that million-dollar smile. However, that's now past, thanks to dental veneers! Dental veneers are a form of cosmetic dentistry in which thin ceramic layers or shells are placed over your teeth to improve the tooth's aesthetics or to simply protect the teeth's surface from damage. These materials are fixed on the outer surface of the teeth to enhance appearance by changing their shape, color, and size. They are made from porcelain, which offers a translucent look that is similar to natural teeth. The process of getting dental veneers typically requires an initial consultation and subsequent visits to our offices in Milton, ON. Our Trillion dentists will prepare your teeth for the veneers on the first day of the visit, followed by a bonding the shell to your teeth the second day. Typically, there are two types of materials most commonly used in dental veneers--composite resin, and porcelain. Composite Resin Veneers are less costly and can last for five to seven years. With this procedure, the dentist places a mild chemical on the outer front surface of the tooth making it a little rough. A composite resin is then fixed on the teeth in layers (the composite resin matches the teeth's original colour so that the veneers blend in with them). A beam of light is then passed over to harden the layers of composite resin. After the finishing coat has solidified, the dentist shapes and polish it. The outcome will be natural-looking and smooth teeth. 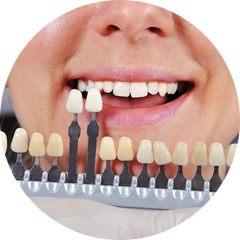 Unlike Composite resin veneers, Porcelain is expensive and last approximately 10 to 15 years. It requires two visits to a dentist. First, a temporary porcelain veneer must be created to fit your teeth and obtain its impression. On the subsequent dental visit, the temporary veneers are removed and a mild chemical is applied on the teeth, making the teeth surface a little rough (this enables veneers to stick on the teeth better). Using composite resin cement, the dentist then glues the porcelain veneers to the teeth one after the other. Why Dental Veneer is a Better Option? In spite of its versatility, a dental veneer is a cosmetic dentistry that is used to hide dental flaws to bring back that beautiful smile. If you want to find out whether dental veneers in Milton, ON could give you that smile you've always wanted, then call our office today. We would be happy to schedule a consultation with one of our highly trained Trillion Dentists.